If you have just bought your new iPhone, then the next step would be to choose a perfect data plan which would suit your need to access most out of internet with the help of your smartphone. We have seen that the basic need why people choose Smartphone is because of its internet subscription activity, without which its almost equal to waste. Smartphone usually comes out with numerous features but when the magic(Internet) is added to it then it becomes a complete pack of entertainment. With the help of access to internet, one can potentially unlock various facilities which includes iDevice, Emails, photo sharing, social networking and many more. But ultimately whatever you do comes out with a price which is listed out in the data plan. Whatever you do, whether its uploading of a Photo or Video, or visiting a web page, or chatting with your friends in various social networking sites, all consists of data plan which is been charged from your activity consumption. As everyone knows that all the data plan are pretty expensive with the way you use them and these small bits tends to add up to your main account. So at the end of the day, everyone wish the same of having a better and smart way to track and monitor data plans so that they can be optimized for us. 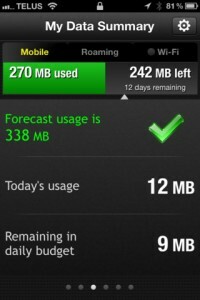 Below are some awesome apps which you can get and use to stop your data plan consuming more of your resources. While you also get another method to make your data plan been used in an optimized way, is by creating a spreadsheet for each app and monitoring each and everything individually so that you can the most out of it. It’s not that much fun as we know, and this method in modern day called “Data Traffic Monitoring”. These apps are just helpful for your Phone but also gives you a better insights on what you are using and how much you are using daily, weekly, or monthly depending upon the customization you choose. By choosing the following Apps, we are sure that you would make the most our of your Smartphone and would definitely save your data plans so that it can last for longer and longer. Apart from keeping track of all of your data consumption, this app has another great feature too which makes itself to stand out from the rest. Its ability to compress data quickly makes itself to be the best out of all. It enables you to compress data, images, videos, music and other multimedia content which is normally not available in the rest and store them on a secure server. This way, you can get more by just less traffic data plan. If you are looking forward to a simple interface where everything is pretty much simple to understand then DataMan is one of my top choice for you. It provides users with simple interface with which everything is just easy to click. If you are a fan of simplicity then you should go ahead with this app which will provide a full screen option to fetch the information, along with a data counter that monitor not just data plan, but also various Wi-Fi connections too. 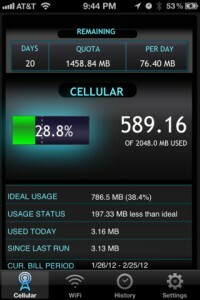 Data Monitor will help you to track all your personal data usage without any kind of difficulties. 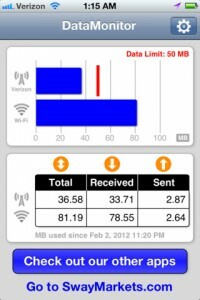 This app will not deal with the mobile data plan connection, but also manage to fetch out information from your Wi-Fi connection. Along with this, the main feature of this app is that it allows you to set a limit for your data after which it will automatically prompt you that your plan is running out to be over. 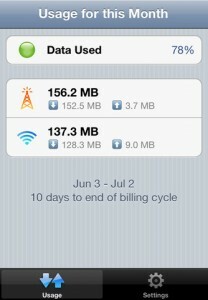 With this app, you can see who holds the biggest installer and data usage from your App list with this minute app. It has a pretty elegant look which gives you each and every inside details allowing you to watch out for the app which takes more memory and data and enables you with a privilege to stop them or run in background to save data. With this, you can watch out which app is gathering or using more of your data plans and thus you can stop them or optimize them to run in a better manner. One of the best feature of this app is that, it automatically runs in the background without taking more of your data plan. The amount of data which you have seen while installing the app and the data which you see after installing or during running of this app is almost the same, making it to a more optimized app for data monitoring. It lets you manage all of your applications, you can even stop them if you feel something is taking more data. Also the reporting section of this app is just awesome which helps you to find for whatever way you want. 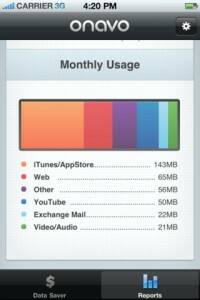 Keeping in mind that no App can make your data plan extend for more time, the amount of data which is present before installing or after a month is same. These apps are basically provided to help you monitor your activity and find out which is taking more time or more resources. We have already provided some tips of how to save more and more data from your data plan above which would be useful for you in all cases.